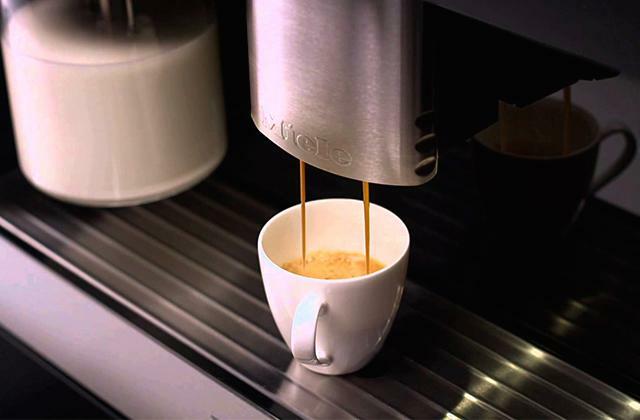 In addition to 3 speed settings (low, medium, and high), this multifunctional appliance provides 5 Auto-iQ programmes allowing you to get the desired consistency out of any produce that you put in the cup. It is somewhat noisy in operation. 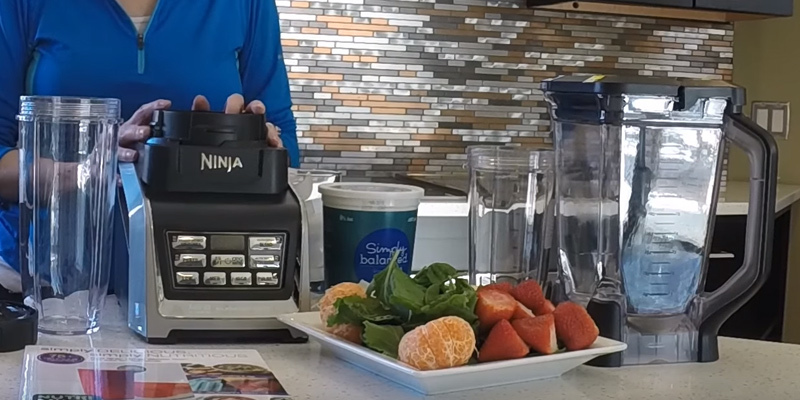 The Ninja BL642 is the type of blender that should be right up your alley if you live with a big family, and all of you tend to stick to a healthy lifestyle. 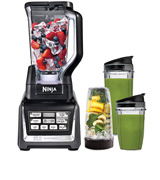 This blender is powerful and comes including a great bundle of cups, allowing for making as many servings as you need. 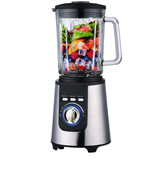 This table blender has a really powerful electric motor that can blend all ingredients very quickly. There are 3 available pre-programmed settings including Auto Clean mode that will let you easily clean the jug after use. This countertop blender is rather big for a small kitchen. That's an excellent kitchen blender that helps you make smoothies, cocktails, and all kinds of blends. Of course, crushing ice is a piece of cake for the Duronic BL1200. Along with the blender a grinding and juicing attachments are provided that can be used for refining coffee beans and making invigorating juices and other beverages. In case of overheating, the blender needs to be paused for some time before you can use it again. 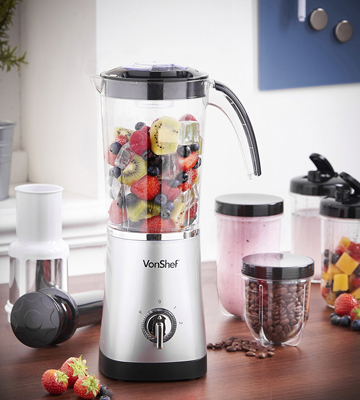 Though not the most powerful out there, the VonShef blender is ideal for home use. 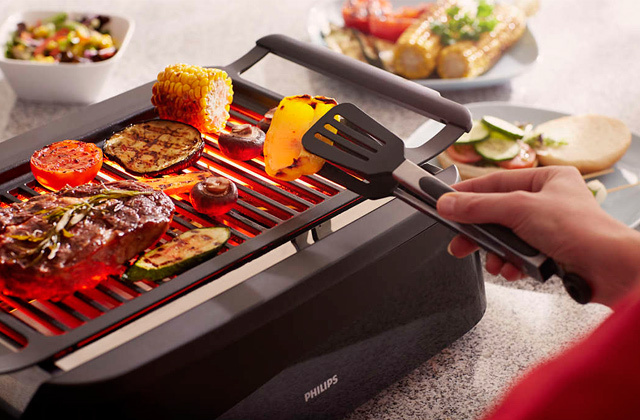 It has two speed settings and a pulse mode, so it can chop and crush any type of produce. On top of that, the blender is fairly compact and will perfectly fit any countertop. The 1.5 L jug features a spout and a convenient handle. Furthermore, it features a durable, shock- and thermo-resistant glass housing, and includes a 2-piece lid with a measuring cup. The unit is topheavy somewhat. 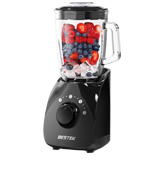 If you search for an inexpensive yet performing blender for domestic use, the BESTEK BTBL1190-UK can be just the right bet for you. 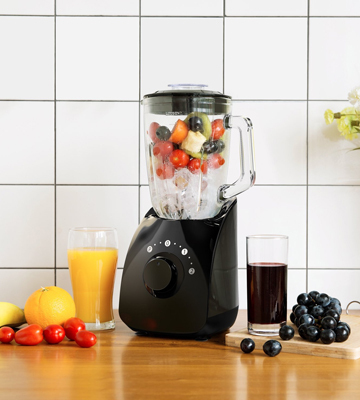 Despite its non-frill design, this blender will perform any blending task perfectly, delivering you unblemished purees, smoothies, and other mixes. In the box, there are two 600 ml drinking cups with leak-proof flip-up lids that allow for sipping of drinks on the go. Two smalller cups (300 ml and 500 ml) include airtight lids as well, so you can store your drinks in the fridge. If run for too long, the motor might emit a burning smell. While this blender combines the functions of a blender, smoothie maker, juicer, and a coffee grinder, it is intuitive to use and low in maintenance. The blender has a stable base with non-slip feet. An ideal option for those on a budget. 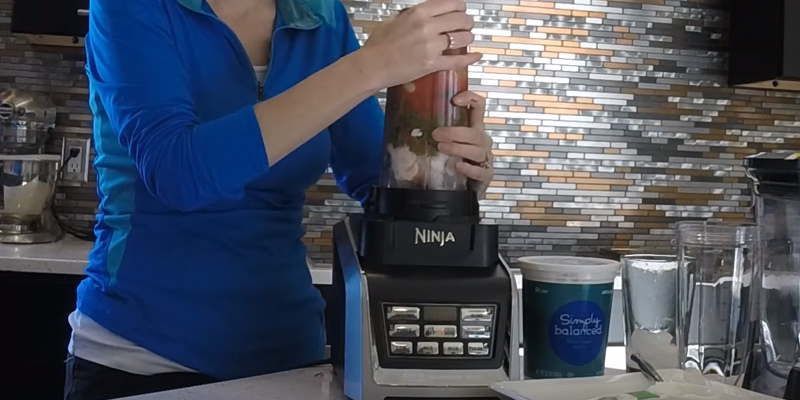 If you can't decide whether to buy a blender or a nutrient extractor, opt for this fantastic Ninja model. 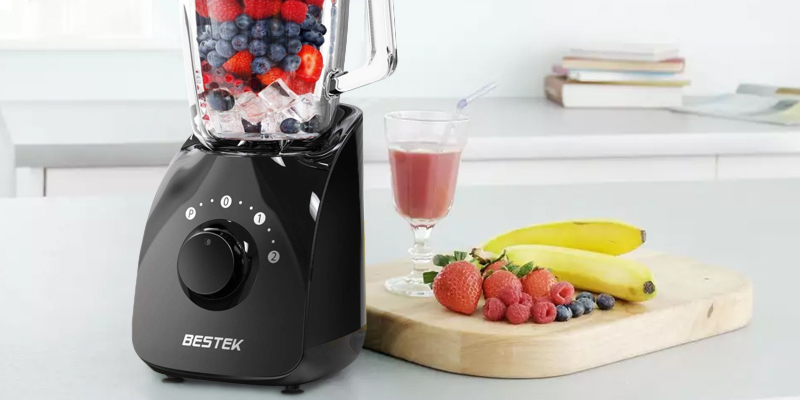 Boasting 1500-Watt capacity, it will quickly turn crushed ice and fruit into a refreshing frozen smoothie, or pulverize vegetables, nuts, and greens into a nutritious morning drink. Purees, dips, soups, cocktails, spreads - it takes longer to list all dishes you can prepare with this professional-grade blender than to actually make them. Such effective performance has been achieved thanks to the use of two types of blades, such as a stacker blade and an extractor blade, and two types of vessels included in the purchase. A 2.1 L pitcher is designed to be used with a stacker blade which can quickly and effectively process different kinds of ingredients, including hard fruit, vegetables, and ice. The jug has a convenient handle and a lid with a drip-free pour spout, allowing you to avoid spills, if you'd like to take your drink with you. Along with the pitcher, three more cups are included - 500, 650, and 900 ml. 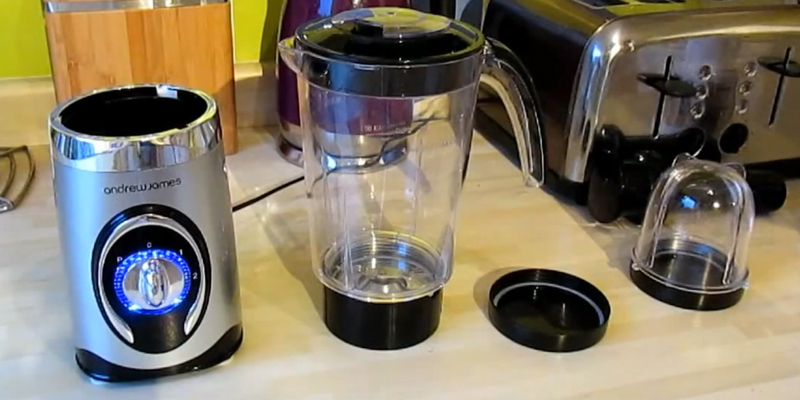 To ensure safety of use, the blender starts working only when the pitcher and the lid are installed properly in place. That said, it is also important that the jug isn't filled up when starting blending. Other than that, all is simple. All you need to do is place the cup on the base, turn it clockwise to trigger the lock, and select a program. Now, let's have a closer look at the control panel. To make your life simpler, the manufacturer fitted the blender with an LCD timer screen, three speed settings (low, medium, and high), and five Auto-iQ preprogrammed settings ("Frozen Drinks/Smoothies", "Food Puree", "Blend", "Ultra Blend", and "Pulse"). Along with the blender, there's a user manual in the box, where you'll find a chart with explanations which mode to use for this or that blending task. However, even if you've never used a blender before, you should quickly master the device; all buttons have clear markings. Thanks to the Auto-iQ Technology, the Ninja BL642 will provide consistently great results, no matter what mode you choose. 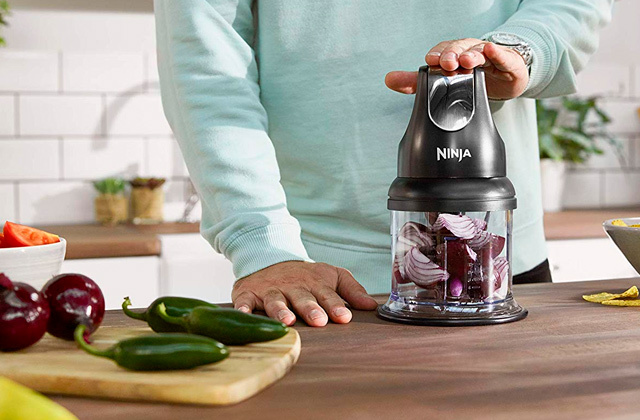 All told, for anyone looking for a high-performing blender that will include all essential attachments, the Ninja BL642 will be more than suitable. The Duronic BL1200 is a highly efficient countertop blender that beats most of its rivals. Of course, such a great performance is due to a very powerful electric motor that yields 1200 Watts. You will surely appreciate how fast this appliance does all the blending and grinding. 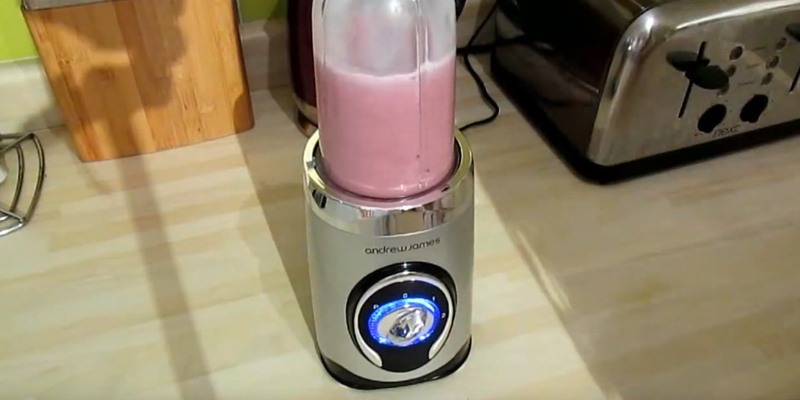 Duronic table blender can quickly crush berries into a fresh smoothie full of vitamins. Or you can make a refreshing cocktail for your family or friends. 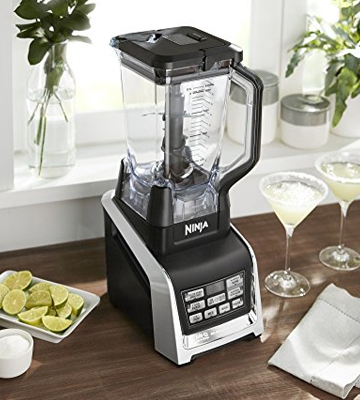 Unlike most other countertop blenders, this model has a special speed knob that allows you to choose the right speed depending on your ingredients to get the perfect silky-smooth texture each time you blend. Moreover, there are three pre-programmed settings for making smoothies, auto cleaning, and crushing ice, that will help save your time selecting the right speed for each task. This table blender has an ultra-strong durable blade that has 4 sharp knives for the most efficient blending, crushing, and grinding of all the ingredients you might need for the recipe. 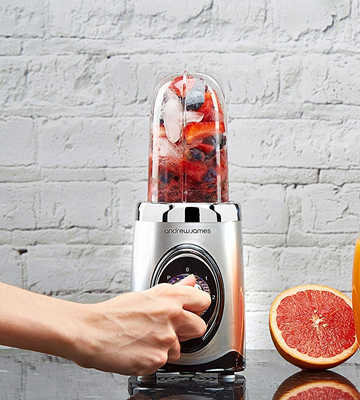 Thanks to this high-quality blade and its powerful motor, the Duronic BL1200 can easily crush ice for invigorating smoothies and refreshing cocktails. Processing nuts is not a problem at all, so if you need some for a blend - feel free to add them. 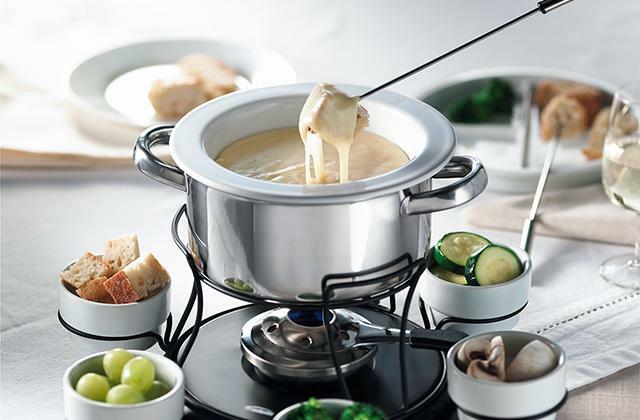 The manufacturer emphasises that you can also blend hot ingredients into a soup; even some more expensive models do not have this option, not to mention cheaper ones. The body of the Duronic BL1200 table blender is made of high-quality stainless steel that is really reliable. The jug is made of genuine glass which is a major advantage since natural glass is always better than even the best plastic. Unlike most counterparts, this professional kitchen blender has a handy auto cleaning mode we have mentioned above. 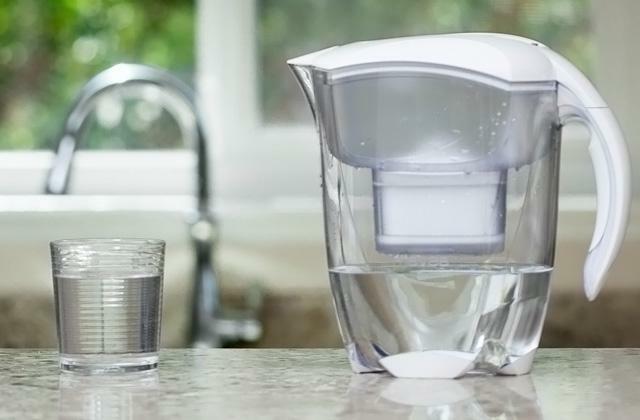 It helps you clean up the jug after use - you just need to pour some water, then add a bit of liquid detergent and push the 'Auto Clean' button. The appliance will do the rest, you will just need to remove water and rinse the jug when the process is finished. If you like everything organized, a multifunctional appliance that takes little space on your countertop is a great choice. 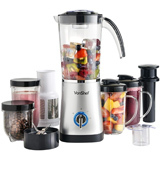 This awesome VonShef blender is a good alternative to at least four kitchen appliances. To be exact, the unit also serves as a juicer, coffee grinder and a smoothie maker. 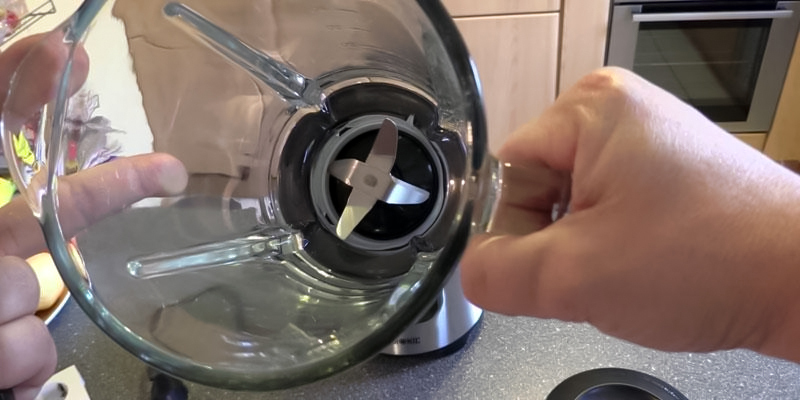 Included with the blender is a base that works with all attachments (found in the box), an extractor blade for blending and extracting produce, and a flat blade for grinding hard ingredients. Next, the blender has a 1 L jug and includes a two-piece lid with a spout for drinking on the go. In addition to the jug, the package contains two 500 ml mugs, both compatible with the base, two airtight lids for storage of the drinks, and two flip lids. Speaking of attachments, the VonShef blender has two: a centrifugal juicing attachment and a grinding attachment. All accessories, including lids, are made of high-quality materials (stainless steel and food-safe BPA-free plastic). Such a bunch of accessories alongside high-quality construction makes this blender suitable for handling just about any kitchen task. With two blending speeds and a pulse mode, the unit is user-friendly and intuitive in use. Though the VonShef 13/124 doesn't have the most powerful motor, the number of accessories and speeds it includes make it more than suitable for most daily needs. Besides, it's not expensive. 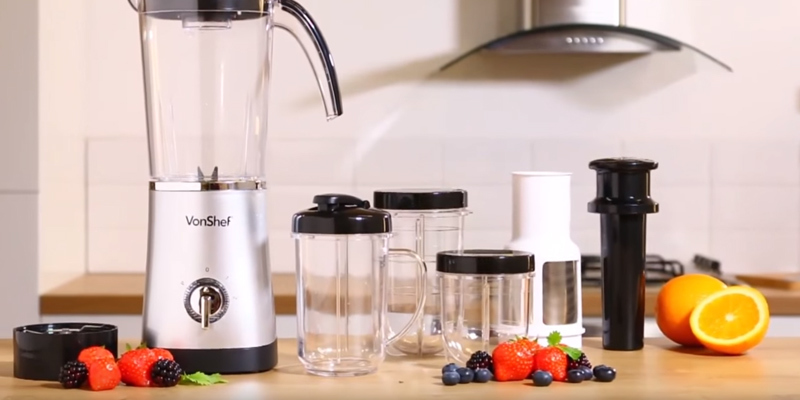 So if you need a blender that will include all standard attachments, will be reasonably priced, and will do the job as intended, the VonShef 13/124 can be a great choice. 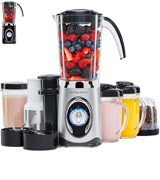 With this blender, your cooking options will be expanded, and you will have a chance to indulge your family in many new amazing smoothy meals every day. If you love to start your day with a glass of orange or grapefruit juice, you may also be interested in our citrus juicers review. Designed for those who like to cook with style, this BESTEK blender model will look fantastic on any countertop. It has a black base with an elegant glossy finish and a smooth glass blender jug with a convenient handle and a black lid. Inside that base is a powerful 750-Watt motor that provides up to 20,000 rpm speed for efficient blending, crushing, and chopping the ingredients. 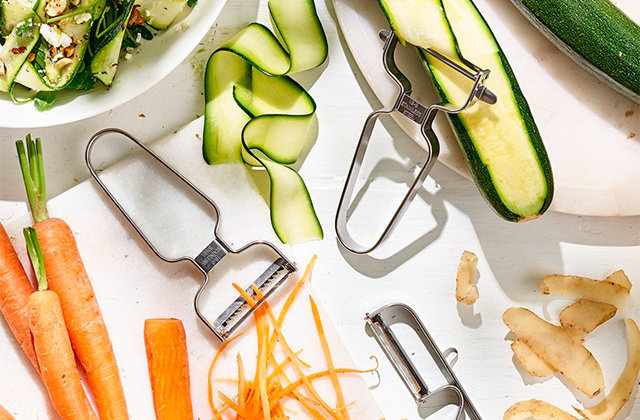 Four sharp blades ensure quick processing of fruits, vegetables, greens, nuts, and ice. The pitcher is made of high-quality drop-, temperature-, and heat-resistant glass. 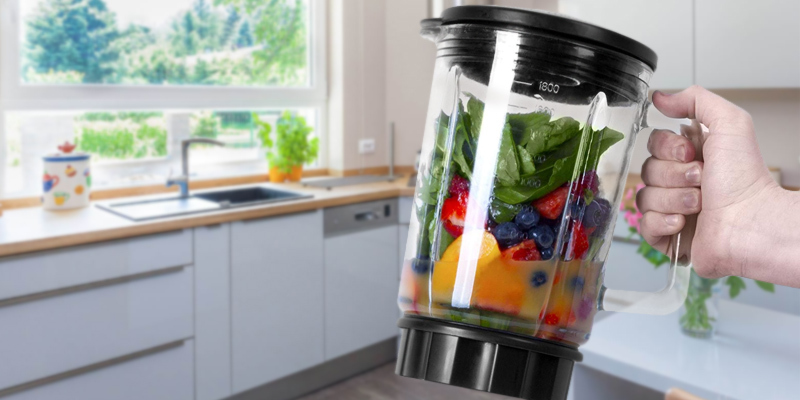 It can hold up to 1.5 L of liquids, allowing you to prepare beverages for all your family, which makes it an excellent smoothie maker for a big household. Able to pulverise ingredients to a silky-smooth consistency, the unit will help you make a whole lot of nutritious drinks with fantastic taste. Moreover, the appliance can be used for crushing ice, so you can use it for making cocktails and frozen desserts as well when planning a dinner with your loved one. With this blender, it will be easier to switch to a healthy lifestyle. And it will certainly add zest to your kitchen. The Bestek jug blender is simple in use; it has a handy control button with low and high-speed settings as well as a pulse mode allowing you to bring the ingredients to the desired consistency. 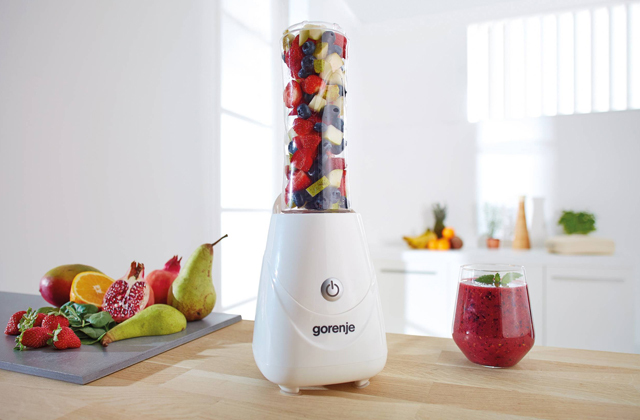 Whether you need to crush frozen fruits, blend vegetables, make cocktails or milkshakes, you'll have them ready in no time. Maintaining the unit is just as simple as blending. The pitcher has a smooth inside surface so it is very easy to clean; the blade can be detached for thorough cleaning. Moreover, all removable parts are dishwasher-safe. As capacious as it is, the appliance will take little space on your countertop - its base is just about 150 mm wide and 160 mm deep. To ensure the safe use of the unit, the locking system will prevent the motor from running if the blender is not installed properly. If the motor overheats, the appliance will shut off automatically. The item is made to last and it is not surprising that the manufacturer offers an 18-month warranty and a lifetime support. While fruit and vegetable smoothies are a source of micronutrients, fresh water is a source of life itself. To make tap water absolutely safe for your health, we recommend that you get a quality water filter. 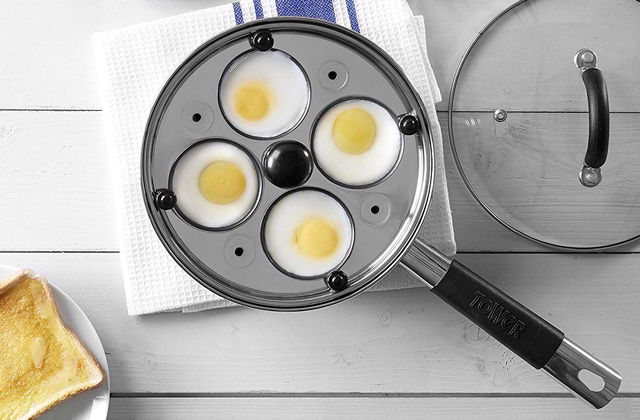 If the blender alone is not enough for you, how about this multifunctional 4-in-1 model? The appliance can blend smoothies, grind coffee, squeeze juices, and crush ice with ease. 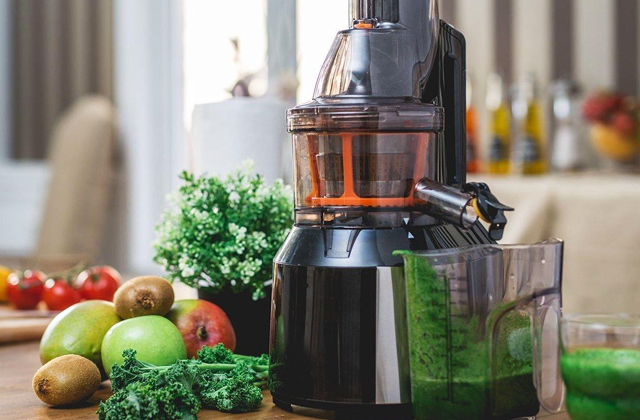 That is all thanks to the included interchangeable attachments - a 4-sided blade for juicing and blending and a flat blade for crushing and grinding. The set includes everything you need to enjoy healthy eating both at home and at work. 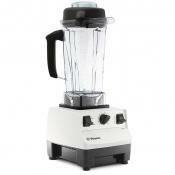 Not only does it contain a 1.5 L blender, it is also equipped with two (500 ml and 300 ml) blending cups. In the box, you will also find a couple of 600 ml drinking cups and flip-up lids, allowing you to use them anywhere without worries about spills. Thanks to this, you will be able to take them with you wherever you go and, as a result, less often be tempted to buy junk food. So this blender mixer set is good not only at mixing ingredients, but also it can assist you in living a healthier life. 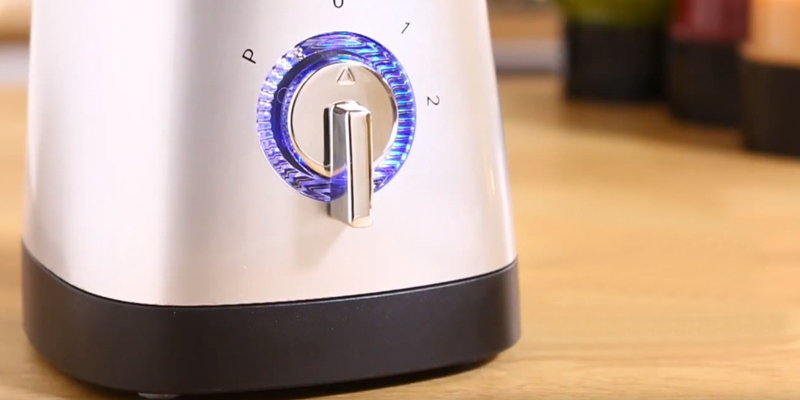 Like most blender models, the appliance has two speed settings and a pulse mode. For processing softer foods, a lower speed is recommended; for grinding coffee, spices, and other tough ingredients, it is best to use a higher speed. The pulse function will allow you to add a finishing touch to your smoothies, giving them the needed consistency. 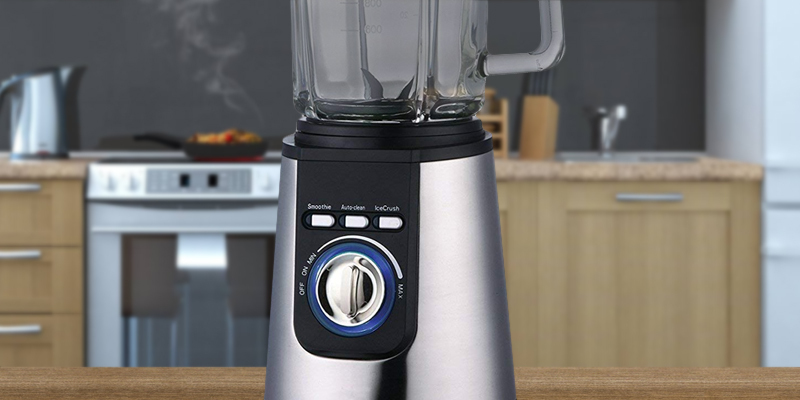 Since this blender isn't equipped with the most powerful motor it is recommended that you let it cool down after every minute of use. This will help you avoid overheating. Other than that, this blender is a very good value. It includes a whole bunch of accessories and attachments, allowing you to handle various blending tasks, and has a few blending cups so you can use a different one for a different task. On top of that, the purchase includes an instruction book, in which you can find many great and inspiring recipes to try out. Finally, we'd like to say a few words on maintenance. While this blender isn't very demanding in terms of maintenance overall, and can be washed even in a dishwasher, it's nevertheless not recommended that you mix in it hot liquids and ingredients. In case you need to make soup or puree out of boiled vegetables, it's best to let them cool down first, and only then add to the blending container. If you can't imagine your morning without crunchy toasts and a cup of coffee, you may also be interested in our reviews of toasters and coffee machines. What Is a Countertop Blender? If you don't want to have a hard time in the kitchen, blending, mixing, grinding food all on your own, you surely need a good countertop blender. This magic device will do all the job for you in just a fraction of time. Countertop blenders have pitchers with lids allowing you to keep splashes inside and prevent any spills so your kitchen will always look nice and neat. They often come with additional cups, blades, and airtight lids for storage of your drinks. Now you only need to decide which one to pick among the variety of options on the market. There are thousands of kitchen blenders designed to carry out multiple tasks so it's easy to get lost while choosing the right appliance. Hopefully, our review will help you to make the right choice. 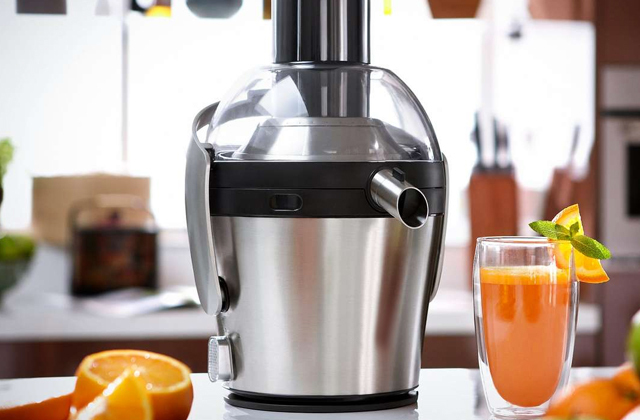 If you love freshly squeezed juice, you may also be interested in buying a masticating juicer. We also have food processors and hand blenders reviews. 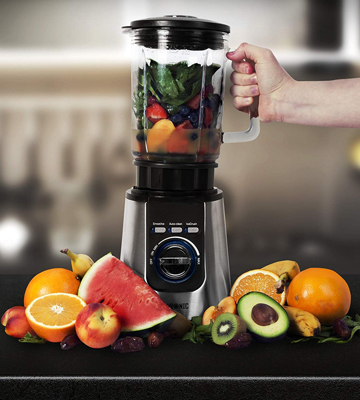 The Power is actually the key feature to pay attention to when selecting a table blender. It influences the ability to vary the cooking portions from large to small, as well as to pulverise various products from soft to hard. The more powerful a blender is, the better it can blend tough ingredients and the larger portions can be. So, if you are planning to make simple milk cocktails, a low-wattage appliance will be enough. However, if you intend to blend ice into snow in order to put it into your cocktail - a powerful unit will be more suitable. Blending nuts or dried fruits is an easy task for a high-powered countertop blender. But be attentive! Low-wattage appliances might not be effective for processing tough ingredients. The Blade Type actually signifies the complexity of task it can cope with. Thus, some blades of blenders are able to blend puree, soft fruit and vegetables while others are suitable for more difficult tasks such as crushing ice and processing hard vegetables. The way a certain blender fits in the kitchen is another important factor. A particular colour, Material and Design may refresh the whole interior of the room. It is also advisable to consider not only design and cup capacity but also materials that a device is made of. The other important factors you have to pay attention to are the weight and durability of the product. Glass is eco-friendly and transparent, plastic is lightweight and convenient while metal is non-transparent yet durable. 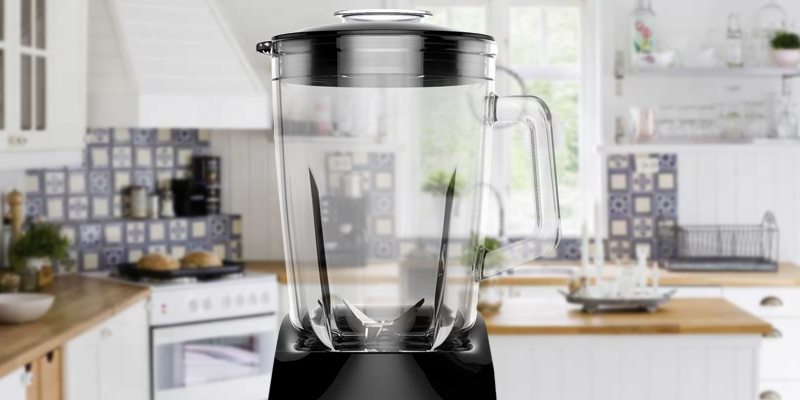 So, you have chosen your perfect blender; please, read these simple tips that will help to ensure the safe use and long service life of the appliance. To ensure even blending, add liquids before any other ingredients. Fill the pitcher to 2/3 of its volume, this will help to prevent spilling. Most blenders have a max level mark, make sure that the jug contents is not above it. If you are going to crush ice, add some liquid just like you do when blending other ingredients. You can only blend hot liquids if your countertop blender is designed for this. When processing hot ingredients, always open the feeder cap to let the steam out. It is also important to start with a low blending speed. Before switching the unit on, make sure the jar is secured and covered with a lid. You can use a feeder cap to add more ingredients during blending. With one hand on the container lid to prevent it from flying off, and the other on a control knob, it is easier to get the desired consistency and avoid messy spills. Choose an appropriate speed setting. 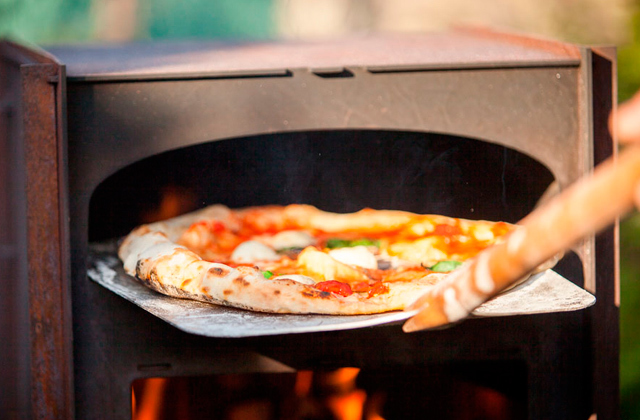 It is not just about using higher speed for harder ingredients. While the low speeds are recommended for soft fruits and vegetables, with solid foods it is better to start with a lower speed and then switch to a higher setting. 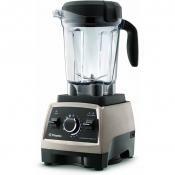 Some countertop blenders have pre-programmed settings that make the process hassle-free. If the appliance does not blend the contents effectively, try to add more liquid. Never open the lid if the blender is running. Your countertop blender can be used for grating hard cheese. Just pre-cut the cheese into cubes and put it in the fridge for a while before processing it. Turn the unit on and drop the cheese into the blender through the feeder cap. 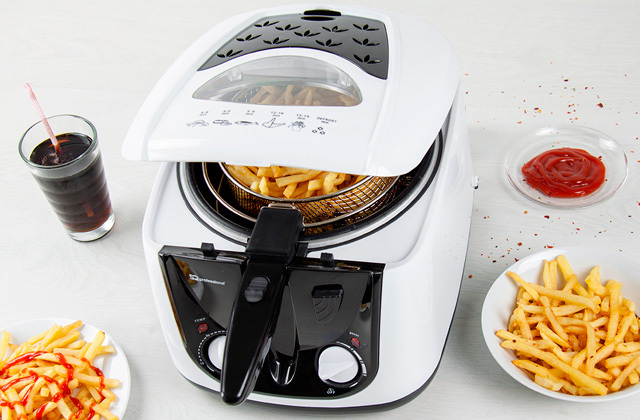 Likewise, you can use the appliance to make bread crumbs, throwing slices of stale bread through the feeder cap. Always rinse the blender right after use - this will save you lots of time and effort. For effective cleaning, you can add some water with a drop of detergent, close the lid and run the blender for some seconds; then, rinse under tap water. All removable blender parts are dishwasher safe, however, you should check the instructions first. Allow the parts to dry before storage, this will prevent bacteria growth and blades corrosion. As for the base, just wipe it with a damp cloth as needed (with the unit unplugged). You can use a pulse button to chop the ingredients before blending and to dislodge the stuck foods without switching the unit off and opening the lid. The pulse function can also help to get the perfect consistency without over processing the ingredients. Do not let the motor run for too long and let the appliance cool down before processing the next load. This will not only help to avoid motor overheating but will also prolong the unit's lifespan. Please, carefully read the instruction manual before you use the appliance. If properly used and maintained, your countertop blender will serve you for years. 1. Blender, Wikipedia. March 3, 2017. 2. Blender Buying Guide, Consumer Reports. January 2017. 3. The Complete Blender Buying Guide, eBay. March 3, 2016. 4. Kim Gilmour, Rebecca Ciaramidaro Blender buying guide, Choice. May 20, 2016.